LONDON — I want to start this analysis concerning Lebanon by saying that I wish Lebanon, a beautiful country where I lived for three full years between 2012 and 2015, all the best possible luck in regard to its petroleum (oil and gas) sector development. In fact, after years of postponements, Lebanon is finally kickstarting its offshore oil and gas (O&G) industry. On January 4, 2017, the government approved two decrees, which were necessary to go ahead with the licensing procedure. Decree No. 42 defines the geographical parameters of the blocks in which Lebanon’s economic exclusive zone (E.E.Z., 22,700 sq. kilometers) is divided; Decree No. 43 sets out the tender protocol (T.P.) and the model exploration and production agreement (E.P.A.) to be entered with the bidding companies. 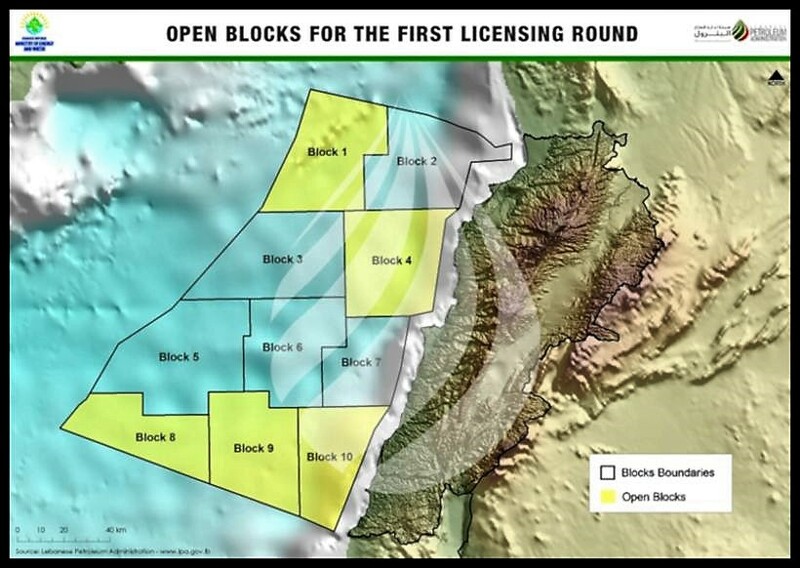 A few weeks later, on January 26, 2017, Minister of Energy and Water Cesar Abi Khalil declared that blocks 1, 4, 8, 9, and 10, out of 10 overall blocks, would be open for bidding during the first offshore licensing round. Then a pre-qualification round, a second pre-qualification round to be more precise, was held between February 2, 20117 and March 31, 2017; according to this second pre-qualification round, 8 new companies qualified: 1 operator (India’s O.N.G.C. Videsh Limited) and 7 non-operators. Previously, in 2013, 46 companies had qualified via the first pre-qualification round—in specific, 12 of them qualified as operators (among them U.S. Chevron and Exxon Mobil, U.K. Shell, and France’s Total). But then, at that time, the tender process stopped abruptly. In fact, the government had never passed the decrees necessary to have a licensing round until January 2017. In sum, because not all the 46 companies that pre-qualified in 2013 will be part of the licensing round, there are now 51 companies that have pre-qualified and should be willing to take part in the tender submitting bids in relation to the open blocks on September 15, 2017. After that day, the Lebanese Petroleum Administration (L.P.A.) will assess the received applications and send a report to the cabinet, which will decide by November 15 which companies will win the tender. Initial estimates tell that buried under the Lebanese seabed there could be 30 trillion cubic feet (around 850 billion cubic meters) of natural gas and 660 million barrels of oil. Of course, until the companies that will sign a production sharing contract (P.S.C.) with the Lebanese government start their exploration phase, it’s impossible to confirm whether these initial estimates are correct. In preparation for the launching of the first licensing round, some years ago, the Ministry of Energy and Water had assigned geophysical service companies to perform seismic activities. These surveys covered the entirety of Lebanon’s offshore territory. In particular, 100 percent of the offshore was covered by 2D seismic data and 70 percent of the offshore was covered by 3D seismic data. Thanks to this activity, data related to 10,000 kilometers of 2D surveys and all the available 3D data, once interpreted, showed well defined structural and stratigraphic traps regarded as prospective, especially for natural gas. In other words, until companies start drilling, there is no certainty of Lebanese O&G reserves, but 2D and 3D mapping and the recent natural gas discoveries in the E.E.Z.s of Cyprus, Egypt, and Israel give the Lebanese government hope that also Lebanon’s E.E.Z. could be rich in O&G—in 2010, the United States Geological Survey estimated that there could be up to an additional 122 trillion cubic feet of undiscovered natural gas in the Levant Basin, with also 1.7 billion barrels of recoverable oil. This means that for an international oil company (I.O.C. ), when evaluating whether to invest in Lebanon, the risk doesn’t lie too much in geological problems but in geopolitical problems. In fact, because we’re talking of offshore operations, if on the one hand it’s true that finding and development (F&D) costs won’t be low, on the other hand they should not be too different from other offshore operations across the globe. For sure, if the price of a barrel of oil went down to $20 a barrel—a possibility that cannot be completely ruled out—there would be great difficulties in achieving breakeven. So, the real problem for an investor is the geopolitical risk, which in Lebanon may be split into two main components: Lebanon’s very complex and dysfunctional internal politics and Lebanon’s difficult relationships with its neighbors. With reference to the first component, it’s difficult to look to Lebanese politics with trust and hope. In fact, Lebanon’s politics is based on religious divisions (a confessionalism including 18 recognized religious sects). In practice, the highest offices are reserved to representatives from certain religious communities. For example, the president of the republic must be a Christian Maronite, the prime minister a Sunni, and the speaker of the Parliament a Shia. Similarly, seats in the Parliament are confessionally distributed but elected by universal suffrage. Each religious community has an allotted number of seats in Parliament, although all candidates in a particular constituency must receive a plurality of the total vote, which includes followers of all confessions. Indeed, it’s a complicated system, but, it’s the system that was introduced with the National Pact of 1943 (slightly changed in 1990 after the end of the Lebanese Civil War). The logic of this system is that it should be able to reduce the possibility of armed violence between the different components of Lebanon’s society, but at the same time its result is a big drag on the speed and meritocracy of Lebanon’s politics. Also, the members of the L.P.A. have been selected according to sectarian lines. With reference to the second component, Lebanon and its southern neighbor, Israel, are still technically at war. 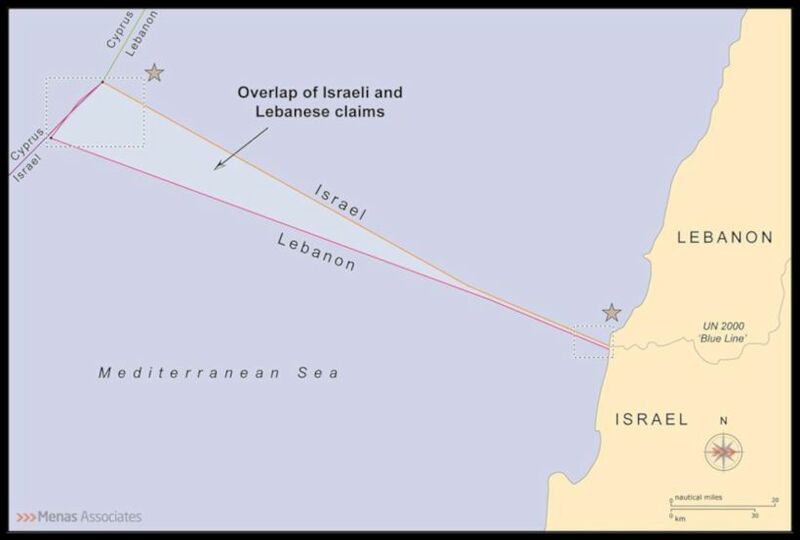 Moreover, to add an additional layer of complexity, there is an 854-square-kilometer wedge of sea between the two countries claimed by both Beirut and Tel Aviv. In the last years, the U.S. has tried to figure out a solution, or at least to avoid that this dispute could escalate into something more dangerous. In this regard, the U.S. has discouraged Israel and Lebanon from conducting O&G operations in the disputed wedge of water. In Israel, Noble Energy, a U.S. energy company quite active in Israel, and Israel’s Delek Group held the license for block Alon D, which stretches into the disputed area. This license expired in March 2016. Several reports have explained that the Israeli government has prevented drilling in the license area Alon D. Another controversy with Israel was linked to the discovery of the Tanin and Karish gas fields by Noble Energy in 2012 and 2013. These fields are located in Israeli-licensed areas Alon A and Alon C. And Alon C is only 4 kilometers away from Lebanon’s block 8 and 9 kilometers from block 9. Tension between Israel and Lebanon when Noble started drilling in the Karish field, which according to Noble Energy is 10.6 kilometers from Lebanon’s block 9, while according to Lebanon is just 4 kilometers away from the block. As a consequence, Lebanon’s government immediately voiced its concern regarding Karish field operations because these could affect the Lebanese gas reserves, either by drilling in a contiguous gas resource, or through horizontal drilling—Nabih Berri, the speaker of the Lebanese Parliament strongly voiced its concerns regarding the disputed offshore territory. Today, after a series of business transactions, the license to the Karish and Tanin fields is held by the Greek company Energean Oil & Gas. The government justification for the green light to proceed with block 8,9, and 10 is that they have a high potential. And in order to lure I.O.C.s’ interest in Lebanon’s offshore, it’s better to offer immediately the most promising areas, especially in the present environment of low oil prices. The idea is that it’s always better to start with the right foot. In addition, as mentioned above, with reference to the three southern blocks, in the past, several times Lebanese politicians raised the issue that Israel, which is quite ahead of Lebanon in its offshore operations, via infrastructure located in its own E.E.Z. could extract natural gas located in Lebanon’s E.E.Z. These fears could be considered another justification to immediately put under a license those three blocks. Moreover, it’s worth mentioning that Lebanon and Syria didn’t complete the demarcation of their land and maritime borders either—Lebanon’s E.E.Z.’s northern border and Syria’s E.E.Z.’s southern border. And now demarcating maritime borders with Syria will probably be impossible until the end of the conflict in Syria. One initial consideration is that Lebanon should have already begun the development of its petroleum sector. Indeed, if the licensing phase had been completed in 2013, it would have been better for the coffers of Lebanon’s Treasury. In 2013, Brent crude prices averaged more than $100 a barrel. It’s true that petroleum operations, if successful, could span at least three decades, which means that an I.O.C. will always experience over the course of a specific project high oil prices as well as low oil prices, but it’s also true that when a government organizes a commodity licensing round, it’s much better if the price of the concerned commodity is quite high. The only real advantage that Lebanon could have right now is the low costs of oil services. Timing is not so good for Lebanon as it was four years ago. 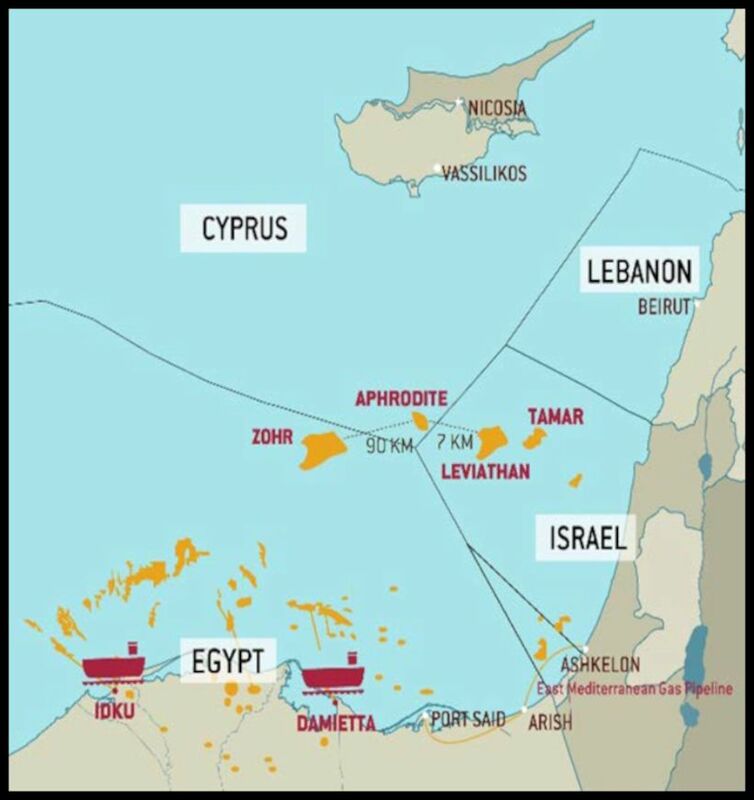 Instead, in the eastern Mediterranean region both Cyprus, Egypt and Israel are quite ahead with their projects. In Israel, natural gas is already extracted. The Tamar field was quickly developed and early 2013 it became operational supplying Israel with 7.5 Bcm per year; the Leviathan field’s Phase 1A will produce 12 Bcm per year starting in 2019. 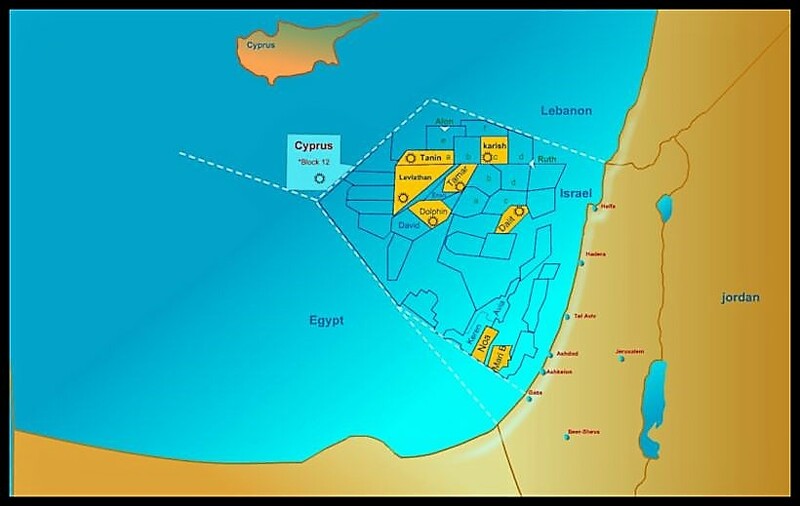 In Cyprus, thanks to three licensing rounds (in 2007, 2012, and 2016) block 12 (Noble Energy, Delek, and Shell), 2 (E.N.I. and Korea’s Kogas), 3 (E.N.I. and Kogas), 9 (E.N.I. and Kogas), 11 (Total and E.N.I. ), 6 (Total and E.N.I. ), 8 (E.N.I. ), and 10 (Exxon Mobil/Qatar Petroleum) have been awarded. In Egypt, E.N.I. will start producing from Zohr in the 4th quarter of 2017—E.N.I. is the operator while British Petroleum has a 10-percent stake and Russia’s Rosneft a 30-percent stake. It’s possible that Zohr will be the first of a series of discoveries in the area. BP is proceeding with its development of West Nile Delta project, which could produce 12 Bcm, per year starting in 2017. All this said, despite a not-so-perfect timing and despite internal and external problems, Lebanon has probably to try to develop its offshore resources. When I.O.C.s and a country sign a petroleum contract, let’s say a P.S.C., they could arrive at the signature starting from distinct positions, but when they sign, they have, hopefully, found an agreement satisfying both parties. 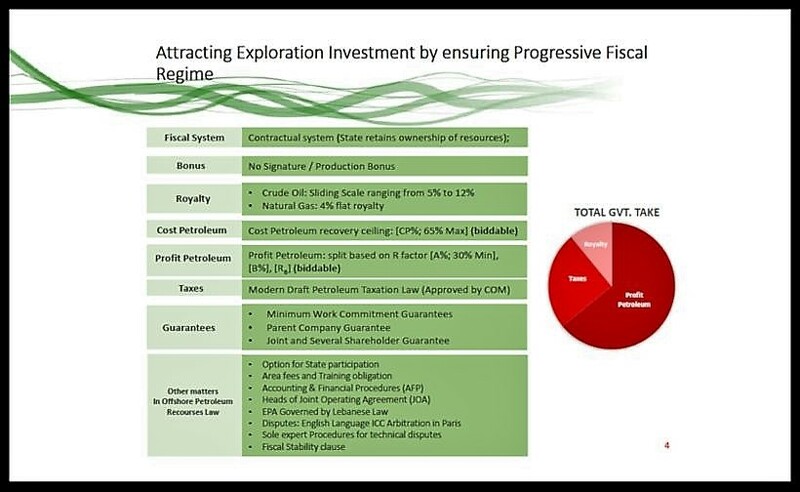 There is a caveat: under the current low oil prices, I.O.C.s may find several different investment opportunities; if a company doesn’t see an investment opportunity as sufficiently profitable, it can easily switch to drilling in other localities. Instead, a country doesn’t have the same privilege. Oil and gas deposits are fixed in a specific place. In brief, a country has to do with what it has. Indeed, a country has to maximize its profits, but it has also to do a reality check. And, in the case of Lebanon, this reality check may be done with an eye to the amount of dollars that every year Lebanon must use to satisfy its energy requirements. In 2013, a year with high oil prices, Lebanon imported oil and derivatives for an amount of $5.11 billion, i.e., 11.4 percent of its G.D.P. Moving to 2016, a year of low oil prices, there was an 8.20 percent yearly rise in value of oil imports to $3.72 billion, which is equal to 98.21 percent of mineral products’ import value. These numbers would probably be a sufficient reason for Lebanon to try to develop its hydrocarbons sector. In fact, in addition to spending less money, by developing its own offshore natural gas deposits, Lebanon could start using natural gas rather than oil to produce electricity with many environmental benefits, give its citizens and industrial sector a continuous supply of electricity, permit its industrial sector to gain competitiveness in pricing and exports, and increase its energy security. On top of these improvements, Lebanese politicians, who are always overoptimistic, already envisage the possibility of creating new industries like petrochemicals—this idea is very premature. Until now, citizens and large-scale manufacturers have relied on their own electricity generators to ensure uninterrupted electricity supply—in some parts of the country there is no electricity for 18 hours a day, while at the same time current expenditures for Electricité du Liban, the public body controlling 90 percent of the activities of production, transportation and distribution of electricity in the country, are still the third most important point in the budget after debt service and public wages. Losses from intermittent energy supply and the utilization of private generators have translated into a considerable loss of competitiveness of Lebanese products on global markets. According to the Association of Lebanese Industrialists, the average energy factor cost is 5.7 percent of the companies’ selling price, but this cost is as high as 35 percent of the selling cost for energy intensive industries like manufacturing. By developing its offshore natural resources, Lebanon could increase its overall energy security in order not to repeat the problem Lebanon is currently facing with its two natural gas power plants. In fact, presently Lebanon has already two combined cycle gas turbines (C.C.G.T.s), Zahrani (460 MW) and Deir Ammar (460 MW), in operation but they are not working properly because they use fuel oil and not natural gas, which, in light of external political and economic circumstances, is not currently exported to Lebanon. Corruption is a huge problem. Transparency International, a global civil society organization, in its corruption perceptions index ranked Lebanon 136 out of 176 countries in 2016. And the idea of getting rid of corruption is probably just wishful thinking. Think of Angola, which is a good case in point. From 2002 to 2015, this country’s exports totaled almost $600 billion, nearly all of it from oil. According to the Catholic University of Angola’s Center for Studies and Scientific Research, oil revenue brought the government coffers $315 billion. At the same time $28 billion from government budgets remained unaccounted for and up to 35 percent of the money spent on road construction vanished. And in relation to Lebanon, it’s important to underline that immediately after the first pre-qualification phase, already in 2013, serious transparency problems had emerged concerning two of the three qualified Lebanese companies. One positive, but limited, note for the possible investors is that Lebanon has announced its intention to join the Extractive Industries Transparency Initiative (E.I.T.I), which is a voluntary initiative through which the government of Lebanon will commit to publishing reports on how the government manages the oil, gas, and mining resources. In practice, the participation in the E.I.T.I. 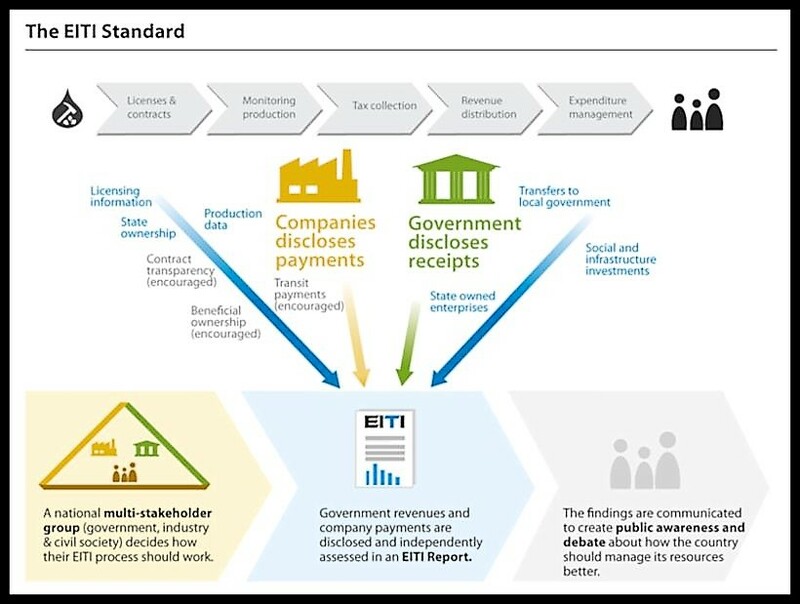 will promote transparency in the hydrocarbons sector. It would be quite important that Parliament approved a draft law, which was prepared in the last two years, regarding transparency in the O&G sector before November. The E.I.T.I. Standard — Source: E.I.T.I. There is a final question: What companies could really be interested in investing in Lebanon? It’s difficult to have an answer. U.S. Exxon Mobil, Chevron, and Anadarko, Brazil’s Petrobras, Italy’s E.N.I., Denmark’s Maersk Spain’s Repsol, U.K. Shell, Norway’s Statoil, France’s Total, Japan’s Inpex, Malaysia’s Petronas, and O.N.G.C Videsh Limited all pre-qualified as operators—12 in 2013 and 1 in 2017. Indeed, these companies are among the best I.O.C.s at world level. But it’s quite probable that the interest they had in 2013 is not present any longer in light of all the considerations developed above. Recently, a few days ago, Foreign Minister Gibran Bassil while meeting with his Chinese counterpart, Wang Yi, encouraged China to invest in Lebanon’s oil and gas sector. Normally, this type of exhortation would be perfectly in line with the meeting. But when you are the foreign minister of a country that is currently carrying out its first licensing round to which no Chinese company will participate, such a behavior raises the doubt that the pre-qualified companies haven’t until now shown excessive interest in the licensing round and that Lebanon has to develop a plan B. Of course, this could easily be just a simple conjecture because companies will submit their tenders only on Sept. 15, 2017. In particular, in view of the considerations developed in this analysis, it could be difficult for an I.O.C. to develop a good business case and decide to invest in one of the three blocks comprising the disputed wedge of water. Moreover, Lebanon does not have the naval capabilities to protect militarily its future O&G installations, while Israel has powerful naval means. But there is something more. The sectarian divisions of Lebanese society, which are mirrored in the country’s political institutions, until now have consistently and only slowed the development of an O&G sector in Lebanon. What if instead the energy sector with its consistent revenue stream became a new lever capable of kindling another time Lebanon’s society internal conflicts? Oil and gas capital projects incorporate buying land, mineral rights, penetrating projects and so forth., which are all more inclined to create investor esteem as opposed to simply paying these assets out to unitholders.